Keng Eng Kee Seafood Restaurant (KEK) has been one of my favourite zi char places to go to whenever I have family gathering or friends visiting from other countries. Started in a humble hawker centre in the 1970s, Keng Eng Kee moved from the demolished Havelock Road hawker centre to its current location at Alexandra Village. It was only a small stall when it moved into Alexandra Village. Down the years, it has expanded the business and took over the whole premises. 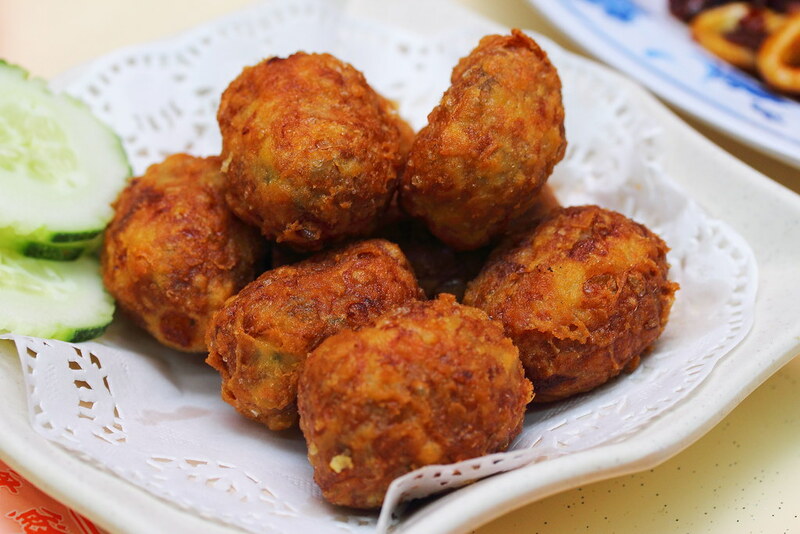 Keng Eng Kee Seafood Restaurant is a family business whereby the kitchen is now helm by one of the youngest local chef, Wayne Liew while his brother Paul, runs the operations. Mingzhu Roll ($9/$12/$15) is one of KEK's own creation. 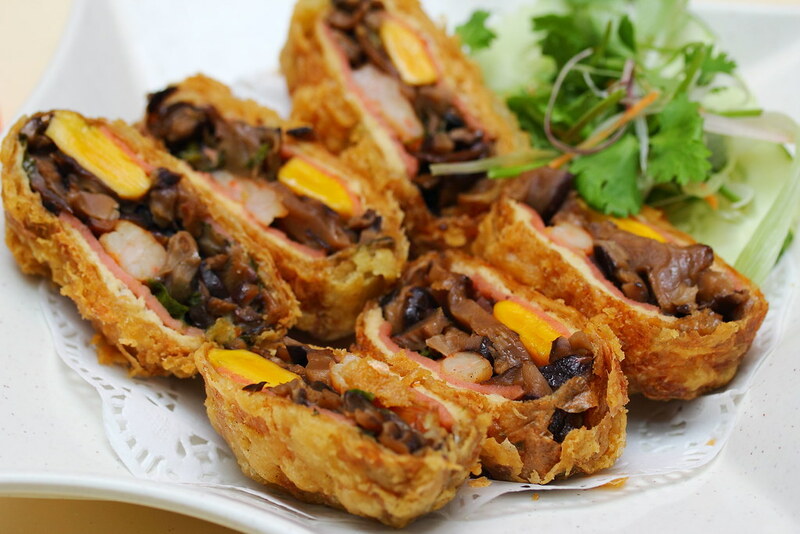 The golden brown roll is stuffed with salted egg yolk, prawn, ham, mushroom and parsley in a fried tau pok shell. What result is a crispy exterior with many layers of flavours what work harmoniously. 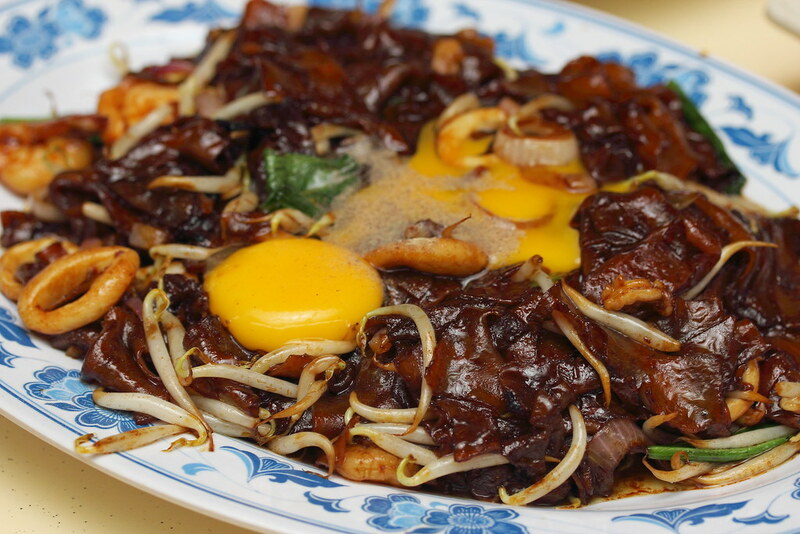 Another signature dish at KEK is the Moonlight Hor Fun ($5/$8/$12/$16) that is wok fried to fragrant in the dark sweet sauce. giving it a smokey aroma or better known as wok hei in our local description. A raw egg is cracked with the egg yolk resembling the moon. Give it a good toss so that the rice noodles are well coated in the egg yolk. I felt it give the noodle a pleasant smoothness in texture while at the same time cut through that rich sweetness from the dark sauce. 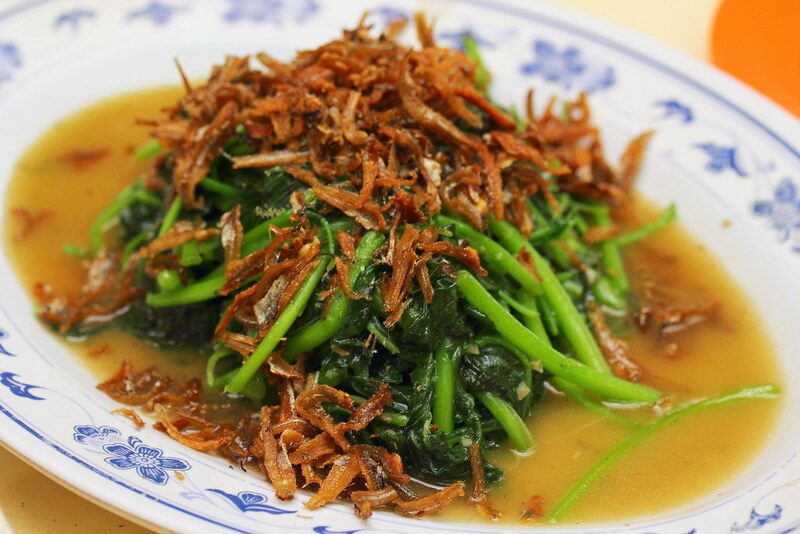 For a more balance diet, we order some greens in the Chinese Spinach with Fried Ikan Bilis ($8/$12/$16). The spinach is cooked to a nice crunchy bite with the ikan bilis giving the dish an additional crispy texture. The huge and plump homemade Prawn Rolls or Hay Chor ($8/$12/$16) is made with a blend of minced pork, carrot, prawn and water chestnut, wrapped in beancurd skin. I like the addition of the water chestnut, giving it a nice crunchy enjoyment. The aroma of coffee filled the air when the Coffee Pork Ribs ($10/$18/$25) topped with sesame seeds is served to the table. I like the fact that the bones of the pork ribs are removed so it is really easy for consumption. The caramelized sweetness, coffee flavour and aroma made this an excellent dish. This is a must order for me whenever I visit KEK. 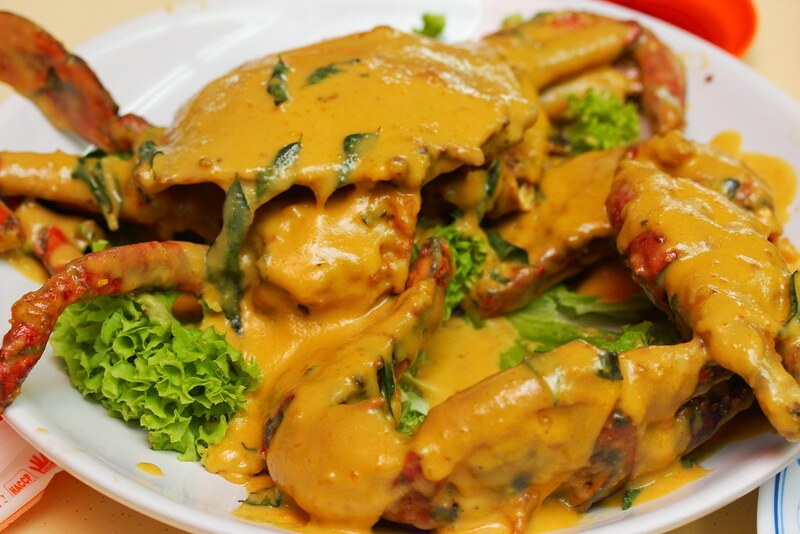 Many foreigners that visit Singapore will always go for the iconic Chilli Crab or Black Pepper Crab. However these are on the spicy side which may not be suitable for the foreign palate. 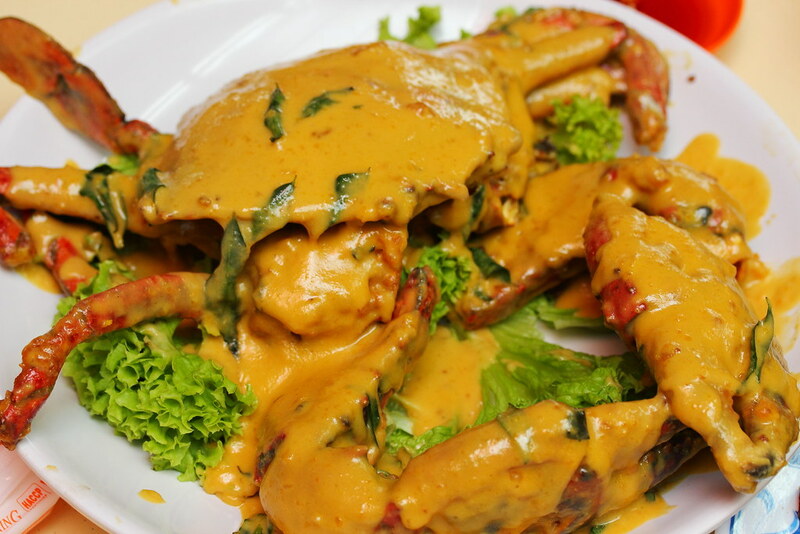 Hence I will usually order the Salted Egg Crab (seasonal price) which is not spicy but instead comes with a sweet buttery and creamy taste that is more suitable for the foreign palate. My foreign friends that have tried it, all have enjoyed it. Good news to the fans of KEK. KEK has opened a second outlet at 200 Padan Gardens. 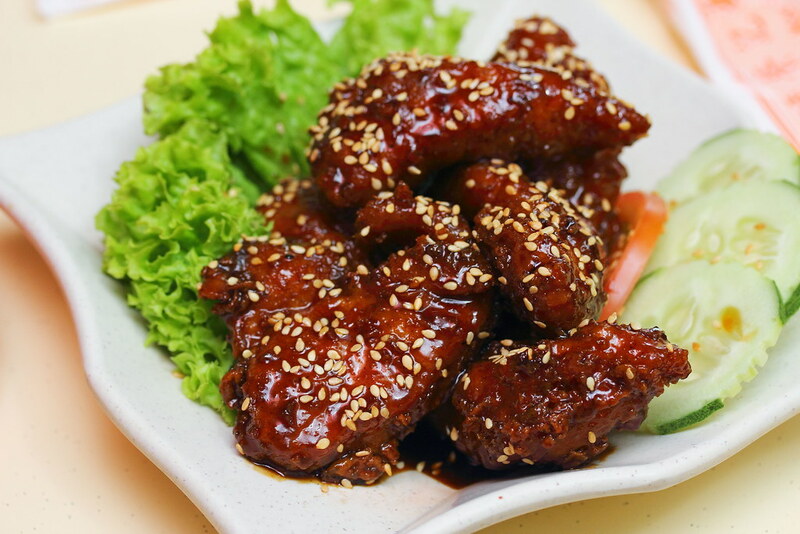 The menu is slightly different with Chef Wayne's modern take of zi char dishes and a couple of all times favourite from the KEK flagship outlet. Do look out for my post of their second outlet soon.